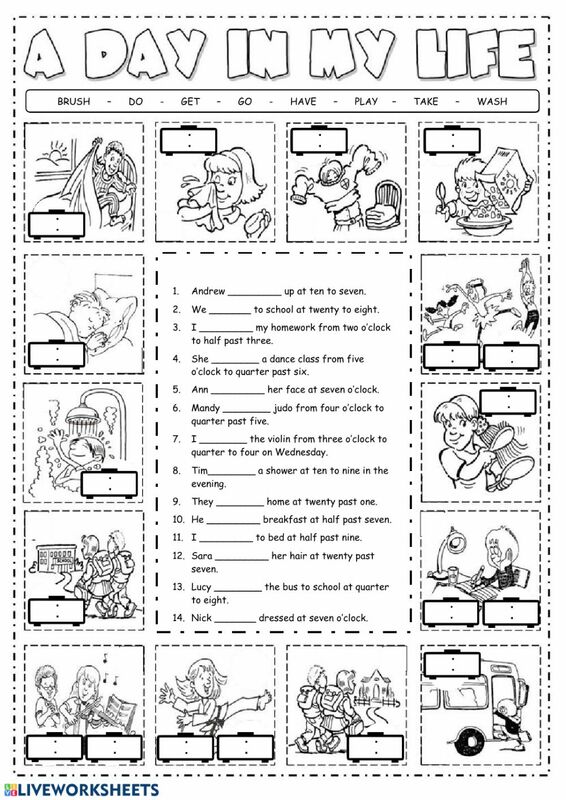 This is a worksheet to practice daily routines and telling the time. Students have to complete the sentences with the right verbs and write the hours and minutes in the clocks. Published with permission of the author. Thanks a lot!! Copyright 4/12/2019 Víctor Gayol. Publication or redistribution of any part of this document is forbidden without authorization of the copyright owner.